Undergraduate students that I teach may describe their midterm exams as the second-most important examinations in many courses. Administered halfway through the semester, these tests are central to both teacher and student as a check on progress. The midterm elections in the U.S. served a similar role, allowing voters to express their opinions of the country’s progress halfway through the president’s term. This year’s verdict was something of a stalemate. The change in control has precedent: past midterm elections have often been unfavorable to the president’s party. The economy often makes the difference in voter sentiment, but not this time. U.S. economic circumstances could scarcely be better: low unemployment, an elevated stock market, and real gross domestic product (GDP) growth of more than 3%. Looking ahead, we should expect repeated fights over government funding. In past divided governments, every budget negotiation provided an opportunity for the opposition party to push its agenda. In the current situation, each side will be looking to score points in advance of the 2020 presidential election. While stalemates, standoffs, and shutdowns comprise the Nash equilibrium of divided government, there may be consensus to be found. As an example, both parties have expressed interest in infrastructure investment. The last major infrastructure spending bill passed during the Obama Administration contained considerable funding for green infrastructure, providing a shot in the arm for a plant-based industry in its infancy. If there is a major infrastructure package put together in 2019, this may again be an opportunity to bolster demand for green industry products and services. At the time of this writing (December 2018), the U.S. economy has now expanded for 112 consecutive months, the second-longest stretch on record, and recent data point to continued growth due to strong consumer spending, robust employment growth, and elevated business and consumer confidence. The unemployment rate remains at a historical low of 3.7%, and various inflation measures are at the Federal Reserve’s 2% target. Early 2019 may be a bigger challenge for the consumer spending outlook, however. Bear in mind that there is further fiscal stimulus in the pipeline. Expansionary economic policy is, well, expansionary — and the federal budget deficit is projected to widen significantly further next year (with most of the boost showing up in the first half of the year). On the other hand, trade tensions, which have had little impact on the aggregate economy so far, are set to ramp up. The 10% tariff on $200 billion in Chinese goods (industrial inputs, capital equipment, and some consumer goods) is set to rise to 25% in 2019, and President Trump has threatened to impose tariffs on an additional $267 billion in Chinese goods (mostly consumer goods). This could be avoided if we reach a trade agreement with China, but it’s unclear as to which of the opposing factions within the White House will prevail. January and February are not critical months for retailers, but a broadening of tariffs would boost consumer prices into the important spring selling season. In 2019, we will likely see continued structural changes across the green industry supply chain as we continue to morph into the more compact and efficient green industry of the next decade. This will not only mean further consolidation in the industry, but deeper, more strategic relationships among those left during the transition. In my opinion, the green industry in the next decade will not look the same as the last decade. Maintaining enough liquidity to handle daily operations still remains a key industry challenge for some firms yet today. The lack of availability of skilled and unskilled workers willing to work in green industry businesses is another constraint that many firms continue to face today. I strongly believe that the most successful green industry firms in 2019 will be those that are well-positioned with their customers in the marketplace, are not overleveraged, and are clearly articulating their value proposition. A quick internet search for housing in 2019 will yield a full continuum of articles that either predict a total housing industry collapse, to those that predict a slight improvement in the industry. Housing has been a notable weak spot for the economy, with real residential investment declining in five of the past six quarters. The weakness is evident across all aspects of the housing market. Existing home sales have declined in seven of the past nine months and are running 2.1% below their year-ago pace through the first nine months of 2018. 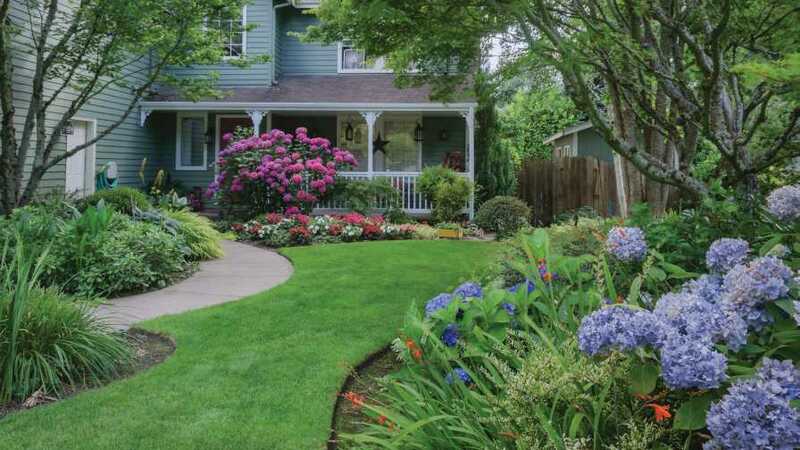 The slower pace of existing home sales impacts real GDP through less commission income for realtors and also less spending on alterations and repairs and landscape plants. New home sales have fared slightly better, with sales climbing 3.6% through September and starts of single-family homes up 6% through this period. Prices have moderated across the board, which means spending will get less of a tailwind from rising household wealth. Charlie Hall ([email protected]) is a professor and Ellison Chair in International Floriculture at Texas A&M University. See all author stories here.